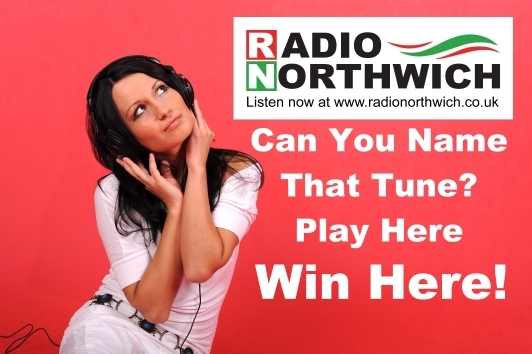 Contact us for radio advertising of your business on Radio Northwich today. Promote your business to our radio listeners in Cheshire and across the Northwest. Our radio advertising packages consist of 20 second audio adverts, and a business profile on this page. Plus you can also advertise on our radio audio player, sponsor our web pages, sponsors our newsletters, advertise on our special offers page, and also have us display large banner adverts promoting your business. Learn how Radio Northwich can help you promote your business. 2 Tabley St, Northwich, Cheshire. CW9 5DP. SRG was created by a team of enthusiastic and accredited Master Technicians. After many years of working within main dealers, the team felt that something was lacking from the main dealer experience. They decided to form SRG, combining exceptional customer service, with competitive, honest prices. Our commitment to customer satisfaction means you get the service you expect. 42-48 Station Road, Northwich, CW9 5RB. MotorConnect Used Cars Northwich take pride in providing quality, safe, affordable used cars for sale. Our goal is to match you with the right vehicle and right deal for you. Our used cars undergo an extensive and thorough HPI inspection and preparation process. This enables us to provide you with a safe, appealing and mechanically sound vehicle that is ready for many miles of carefree motoring. Don't scratch your pride and joy in an automatic car wash. Bring it to Garnett hand carwash Northwich. For that caring cleaning, valeting and polishing treatment it deserves. We're located on Venables road, opposite Sainsbury. So you can leave your car with us while you shop, and we'll have it spotless for you on your return. Visit Garnett hand carwash Northwich. And keep your car smiling. Open 7 days, weather permitting. Venables Road, Northwich, Cheshire. CW9 5EA. If you you are looking to have first class dental treatment, without doubt this is the place to go! From start to finish the service offered is well above what you would expect! Implants, Fillings, Family Dental Care, Dental Bridges, Veneers, Teeth Whitening, Emergencies, and Teeth Straightening. 3 Kingsmead Square, Regency Way, Northwich, Cheshire. CW9 8UW. Visit Kanya for delicious food in a fantastic atmosphere, with private dining and outside catering available. Kanya offers private dining in the evening, whether it be for a family celebration, a society gathering or business event. We can accommodate up to 70 diners. Speak to us with your requirements. 36 High Street, Northwich, Cheshire. CW9 5BE. Offering website design services and digital marketing solutions to businesses across Cheshire and the Northwest. We set-up the domain name, web space, required email addresses, and everything else needed for you to to have an efficient website. 2 Tabley Street, Northwich, Cheshire. CW9 5DP. Rouge Digital are a Web Design and App Development company based in Winsford, Cheshire. And cover the whole of the UK including Winsford, Northwich, Crewe, Warrington, Chester, Ellesmere Port, Nantwich, Wrexham, Runcorn, Widnes and of course Liverpool & Manchester. Suite 26 & 28, Northwich Business Centre, Meadow Street, Northwich, Cheshire. CW9 5BF. Looking for Superior Rug Cleaning at an affordable price? Arcadia Rug Spa have all the specialist equipment and knowledge to clean your rug with care. And our money back guarantee is to give you peace of mind and trust in our services. Unit 7, Hartford Business Centre, Off Chester Road, Hartford, Northwich, Cheshire, CW8 2AB. Insurance Brokers & Independent Financial Advisers since 1977. We provide advice to our local clients in Cheshire, the surrounding counties, and throughout the UK. At CRS Consultants Ltd we now oversee just under £200 million worth of assets and are committed to delivering an exceptional service to our clients. Parr Bank Buildings, 8-10 Dane St, Northwich, Cheshire. CW9 5AH. We specialise in made to measure curtains and accessories. Come along and see the wonderful range of fabrics and colours to choose from, and let us conjure up that perfect window to enhance any room. Curtain Magic aim to make choosing curtains a pleasure. 13 High Street, Northwich, Cheshire. CW9 5BY. When vehicle repairs are necessary you can depend on D C Lomas Limited for skilled, professional mechanics that you can trust. For Servicing, MOTS and all Repairs to DPF Cleans and engine rebuilds, you can rely on us to give you the best performance. Our Mot centre at Winsford Industrial Estate offers a friendly service. Newly refurbished luxury accommodation, with purpose built beauty rooms etc. Our fully qualified tight knit team are able to offer customers old and new affordable out of town prices for skin care, nails, tanning, hair removal, massage and very much more. We have free car parking available. 8 Leftwich Warehouses, Queen Street, Northwich, Cheshire. CW9 5JN. We are a traditional chip shop which has been serving traditional fish and chips for nearly ten years. We are multi award winning gaining a top 60 place in the national Fish and chip shop of the year 2018. And have also been recently awarded a top 50 place in the UK by Fry Magazine 2018. 289 Manchester Rd, Lostock Grahlam, Northwich, Cheshire. CW9 7NE. Specialist Balloon and Party shop located in the thriving and exciting town of Northwich in Cheshire. We are a independent family run business with a dream to become the UKs best balloon artists through our constant innovation, high standards and customer satisfaction. 15 Market Street, Northwich, Cheshire. CW9 5BD. Looking for a tattoo? Got one in mind that you need creating? If you can imagine it, we can tattoo it. Pop into Art n Soul Tattoo anytime for a FREE consultation and draw up. A Friendly, family run business with over 20 years experience, offering Laser Tattoo Reduction, Body Art, and Piercing, by qualified, insured Male and Female artists. 17 Witton Street, Northwich, Cheshire. CW9 5DE. Baron's Lounge on Witton street has a superb range of Gins and a large selection of craft ales & lagers with an ever changing selection of real ales. So whether you just want a drink in a friendly atmosphere, or fancy a drink before or after going to the cinema. Come and see what we have to offer. Beer garden now open. 13 Witton Street, Northwich, Cheshire. CW9 5DE. Northwich Memorial Court is our brand new gym, leisure and entertainment centre. It's a multipurpose venue, as well as 2 swimming pools, a huge 95 station gym and a varied fitness class timetable, the main hall is also a fantastic entertainment space with full stage, sound and lighting systems. It seats up to 500 people and caters for a variety of events. Chester Way, Northwich, Cheshire. CW9 5QJ. Cherish Bridal Northwich. We're award winning and the longest established bridal store. We have a stunning collection of Wedding Gowns, Bridesmaids dresses, prom gowns from selected designers and evening wear & Accessories to fulfil every brides dream. 125 Middlewich Rd, Northwich, Cheshire. CW9 7BY. Hartford Golf & Leisure Ltd, Burrows Hill, Northwich, Cheshire. CW8 3AP. 5 White Hart Gardens, Hartford, Northwich, Cheshire. CW8 2FA. At Northwich Art Shop we offer a range of quality art materials and supplies. We have a mission to help demystify the art of art. Everyone can enjoy creating, making or just playing. Let your imagination fly! 111 Witton Street, Northwich, Cheshire. CW9 5DY. Co Sign Winsford offer the complete printing service, from site survey and design, through to manufacture and installation. Services include Sign Manufacture, Digital Printing, Posters, Magnetic signs, Window graphics, Engraved signs, Vehicle Livery, and much more. Unit 5, Innovation House, Browning Way, Woodford Park Industrial Est, Winsford, CW7 2RH. Northwich Glass Ltd the premium supplier and installer of Elegant Glazing, we are proud to have been serving our valued customers since 1959. Looking for something that little bit different? why not visit our extensive showroom located at our head offices in the heart of Northwich. SportsDirect.com in Northwich are offering an amazing Extra 20% off EVERYTHING in-store allowing you to get full speed ahead for Spring! Whether it be fabulous gym wear, the new England shirt, cutting edge ath-leisure pieces or that all important sports kit you've been dying to have, SportsDirect.com have got the whole season nailed! Unit 2B Northwich Retail Park, Manchester Road, Northwich, Cheshire. CW9 5LY. This historic pub has a character of its own, supported by a really friendly atmosphere. Live bands at the weekends, live sports TV throughout the week, and karaoke Sundays. The Chimes also has a darts team, and a pool team, which helps create a real community spirit. 122 Witton St, Northwich, Cheshire. CW9 5NW.